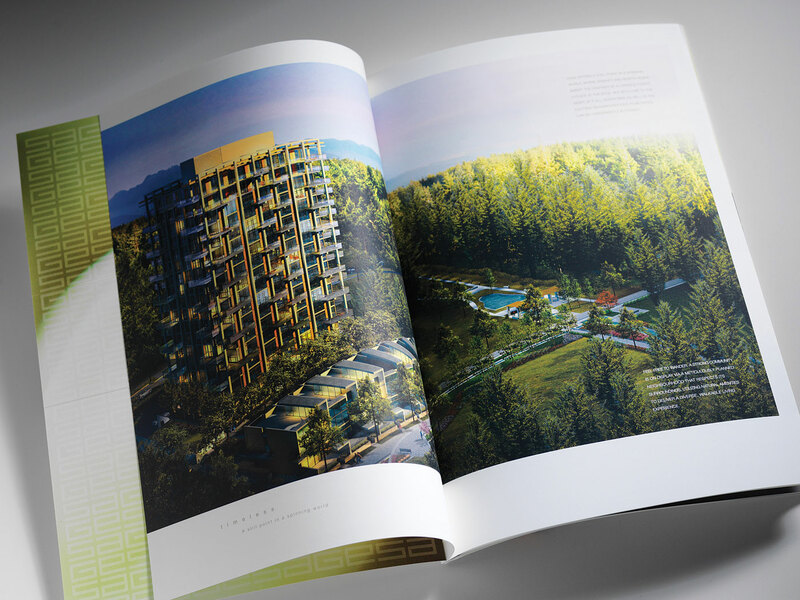 Located on the West Point Grey / UBC Peninsula, Sage is a luxury residence in the new Wesbrook Village. 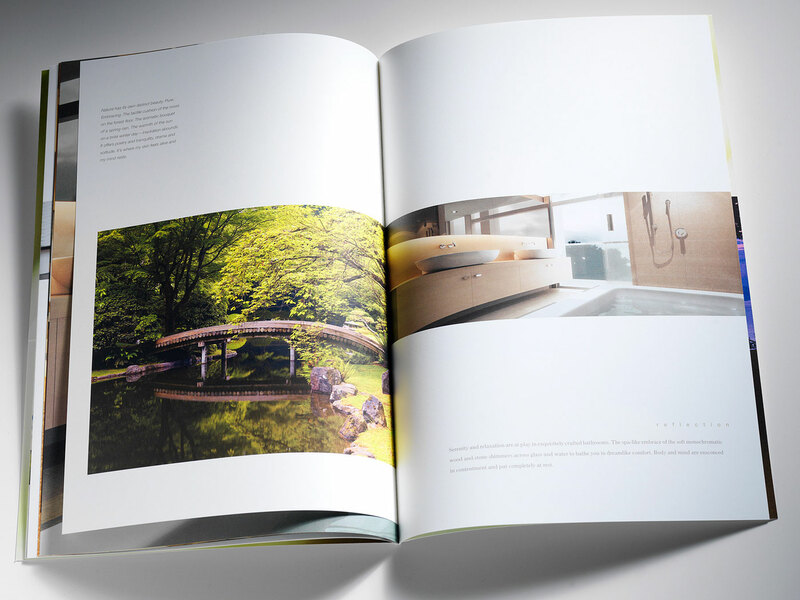 To sum up this project's unique lifestyle opportunities we created a campaign based around three core images that showcase the beauty of UBC's natural surroundings while capturing key aspects of the project — culture, education and refinement. 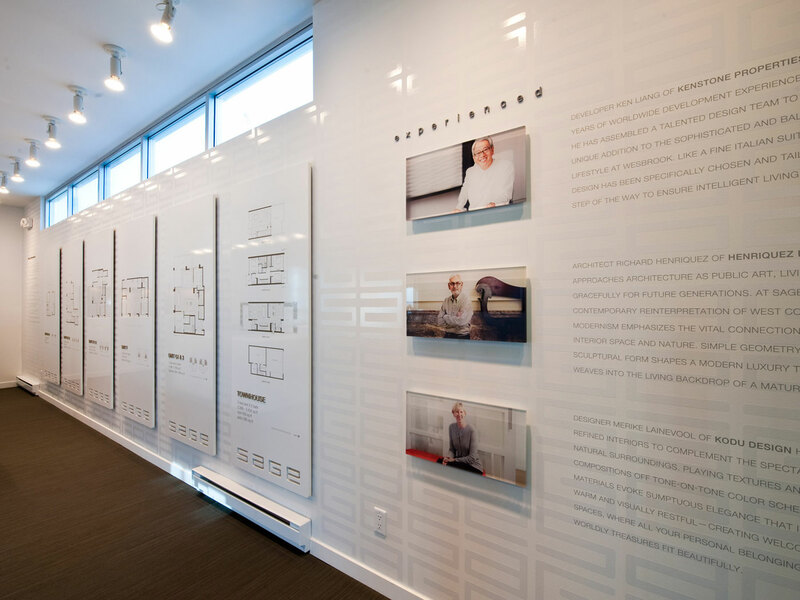 Letterbox is an expert in environmental experiences as an evolution of the brand. 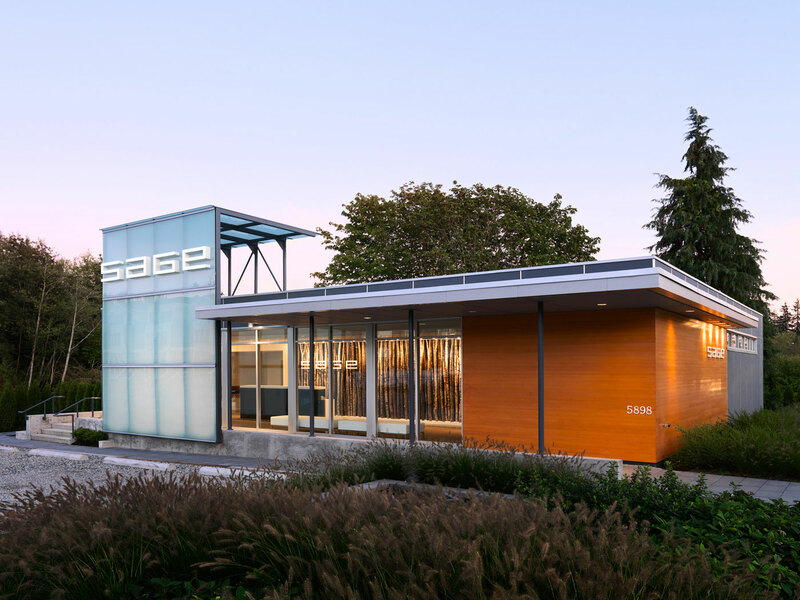 At the Sage Discovery Centre, collaborating with Kodu Interior Design, we extended the natural environment inside through a rich palette of photographs and materials that reference the surrounding forest. 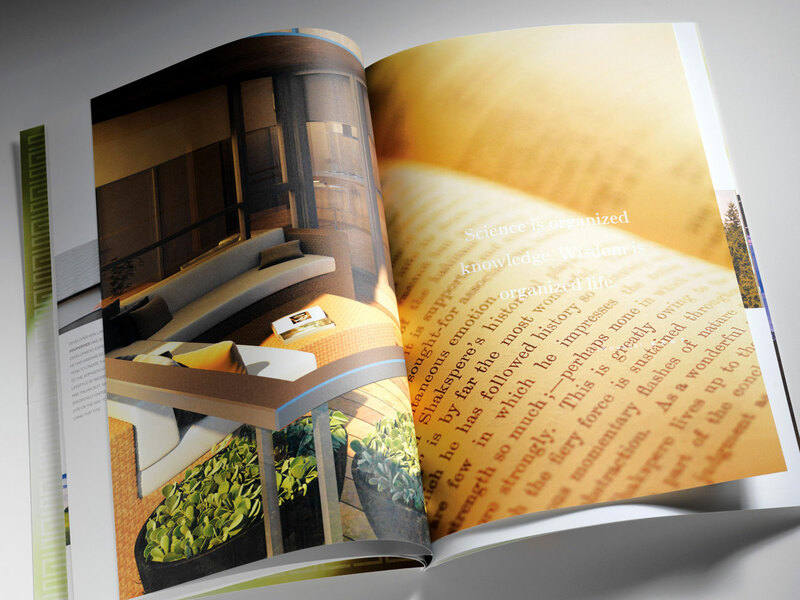 A major brand objective was to highlight the project location as a cultural destination. 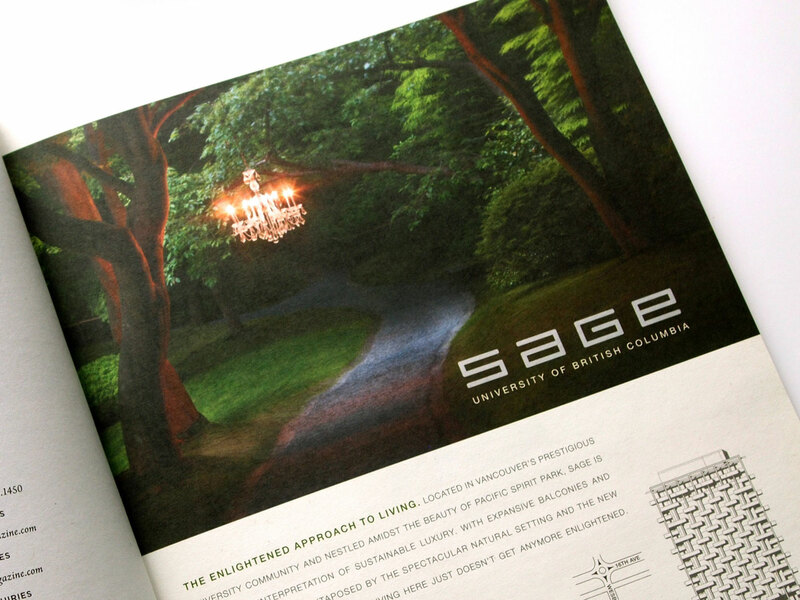 The Sage brochure highlights cultural and academic UBC landmarks, connecting these to the culture of family and home. 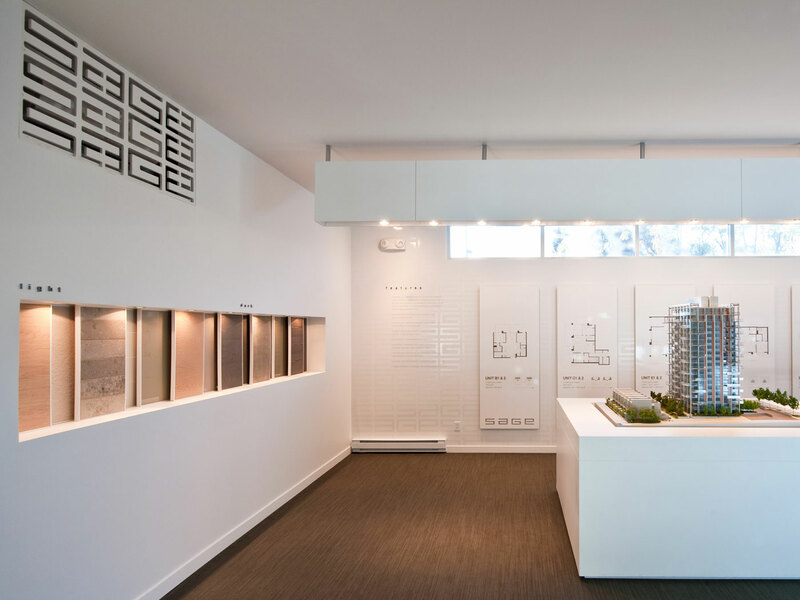 An information-rich web site has links to the surrounding UBC destinations, showcasing the lifestyle possibilities of this neighbourhood. 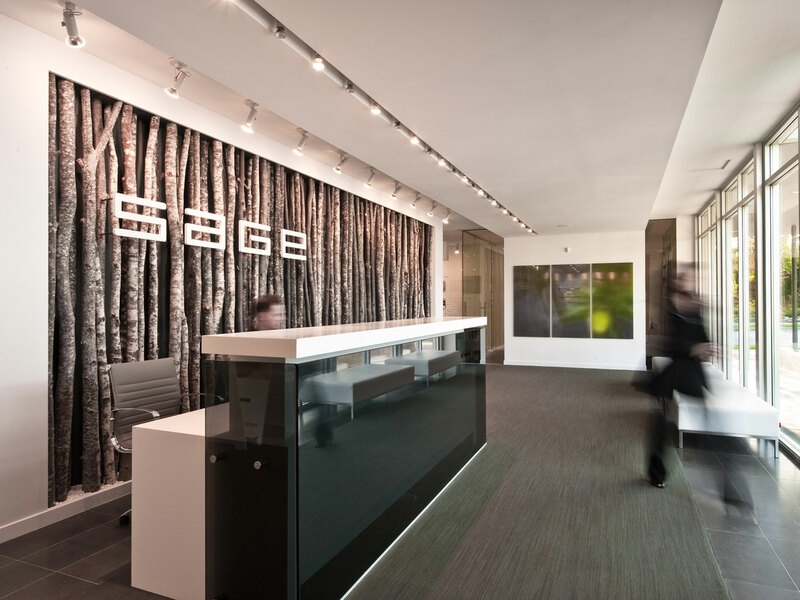 The campaign for Sage achieved impressive results. Amid one of the worst recessions in decades, over 80% of the units were immediately sold. The campaign was also recognized with six Georgie Awards for 2010, including the prestigious Campaign of the Year.